FORMER Zanu PF Mashonaland Central provincial chairperson Itai Dickson Mafios was yesterday convicted and sentenced to two years in jail for inciting people in Bindura to join a wave of anti-government protests that rocked the country two weeks ago. Bindura provincial magistrate Vongai Guwuriro suspended 10 months of the sentence on condition of good behaviour. Prosecutor Clement Kuwanda told the court that on January 15 this year, Mafios drove to Chiwaridzo Shopping Centre in Bindura and approached a group of people who were sitting on a shop verandah and urged them to join the violent protests. The former Zanu PF provincial boss, who was being represented by Bindura lawyer Graciano Manyururei, had denied the charge, citing political persecution. 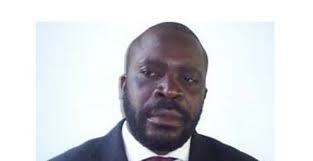 In a related development, opposition MDC Alliance’s Mabvuku councillor, Munyaradzi Kufahakutizwi, was yesterday acquitted of public violence charges levelled against him by his Zanu PF rival, Munyaradzi Nyamukondiwa, who lost the council seat to him during the 2018 harmonised elections. Harare magistrate Victoria Mashamba acquitted him for lack of evidence. The State had alleged that on January 16, the MDC Alliance councillor and his accomplices, who are still at large, barricaded corner Kariyana Avenue and Manresa Way using boulders and stoned Nyamukondiwa’s car.